Grand Prix d’Horlogerie de Genève (GPHG) has announced the nominations for the 2012 Geneva Watchmaking Grand Prix. The jury has selected 70 watches, on which the public can vote via the GPHG website. An award ceremony will take place Thursday November 15th, 2012 at the Grand Théâtre de Genève, attended by Alain Berset, Federal Councillor, and the Geneva authorities. Members of the public are invited to vote for their favorite watch online, with the most popular watch winning the Prix du Public. Voters automatically enter themselves into a prize draw to win a timepiece. From October 2012, a free mobile GPHG app will be available to download, providing all the information on the official GPHG site. As in previous years, the watches preselected by the jury will be part of a traveling exhibition, allowing the public to become acquainted with the nominations. The first stage of the exhibition will take place in Les Ambassadeurs boutique on the Bahnhofstrasse in Zurich. The 70 timepieces will then be presented in Hong Kong, followed by Shanghai on the famous Bund. Returning to Geneva, the watches will be displayed at the Cité du Temps, with an inauguration October 31st and the main exhibition open to the public November 2nd – 8th. Following the award ceremony, the three finalist watches in each of the seven categories—as well as winners of the Aiguille d’Or Grand Prix and the Prix du Public—will be exhibited at the Swiss Embassy in Moscow. Complete exhibition dates are available on the GPHG website. A showcase for Swiss watchmaking around the world, the GPHG also champions Geneva’s reputation as a watchmaking capital. In light of this, the Geneva and Moscow GPHG exhibitions will pay tribute to the city. 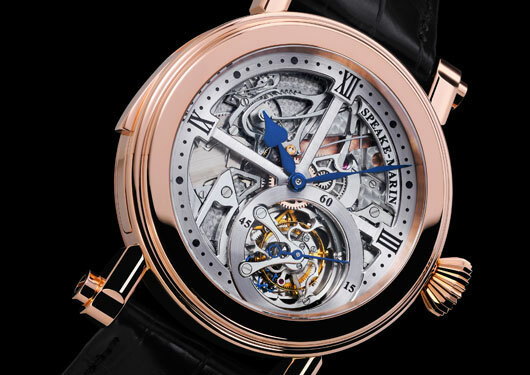 Attended by Geneva’s international watchmaking community, the award ceremony will see eleven prizes announced including the prestigious Aiguille d’Or. The Banque Privée Edmond de Rothschild, main partner of the GPHG, will also award a study grant to a talented young candidate. The event will be linked to New York where a live broadcast will take place in a shop on Madison Avenue.